Kim Yong Jin (Kim Yo’ng-chin) is a DPRK Vice Premier. He is also a member of the Workers’ Party of Korea [WPK] Central Committee and deputy to the Supreme People’s Assembly. A mathematics teacher by training, Kim held a series of positions during the 1970s and 1980s at the DPRK’s premier insitution of higher learning, Kim Il Sung [KIS] University including as a faculty member, vice-chancellor and deputy editor in chief of the KIS University Publishing House. In 2000, he was appointed Chairman of the Mathematics and Mechanics Department at KIS University. In June 2003, Kim Yong Jin was appointed Minister of Education and was elected a deputy to the 11th Supreme People’s Assembly on August 3, 2003. In December 2003 he was appointed Chairman of the DPRK-Cuba Solidarity Committee, a position he held for almost ten years. As Education Minister, Kim was part of an effort to strengthen ideological indoctrination and political education in DPRK schools in line with so’ngun (military-first) politics. Kim was identified as part of a group of rising “Third Generation” officials among the North Korean leadership. As Education Minister, Kim Yong Jin attended numerous public events including central report meetings, national exhibitions various awards ceremonies, Kimilsungist-Kimjongilist [Kim Il Sung] Youth League and Korean Children’s Union induction ceremonies and public events focused on children’s issues, schooling and science education. Kim was also a leading official involved in fostering closer ties with the ROK during the “Sunshine” policy and took part in numerous events involving his ROK counterparts, including attending a June 2005 celebratory event at Moknan House in Pyongyang involving then-ROK Minister of Unification Chung Dong-young [Cho’ng Tong-yo’ng] and Supreme People’s Assembly Presidium President Kim Yong Nam. Kim Yong Jin was appointed Chairman of the DPRK-Egypt Friendship Association in July 2005. In this position and as Chairman of the DPRK-Cuba Solidarity Committee, Kim participated in numerous events hosted by the DPRK Government, as well as a variety of cultural and anniversary events at the Cuban and Egyptian Embassies in Pyongyang. In June 2006, Kim led a DPRK delegation on a goodwill visit to Cuba where he interacted with several senior Cuban officials. Kim Yong Jin was re-elected to to Supreme People’s Assembly in March 2009 and reappointed as Education Minister. In September 2009 Kim was part of a group of DPRK Government officials who met with Cuban Foreign Minister Bruno Rodriguez Parrilla during the his visit to the DPRK. Kim also chaired the March 2010 meeting of the DPRK-Cuba Solidarity Committee held in Pyongyang. In July 2010, Kim was appointed chairman of the DPRK Education Commission. In September 2010, he was elected a full member of the WPK Central Committee during the 3rd Party Conference. Kim was the most senior DPRK official to visit the Libyan Economic Cooperation Bureau in the DPRK when it hosted an event commemorating the 63rd anniversary of the foundation of the DPRK in September 2011 The event was notable because it was the first occasion in many years hosted by the Libyan government which DPRK state media omitted mentioning Muhammar al-Qadhafi by name. In December 2011, Kim Yong Jin was listed at #100 on the state funeral committee for Kim Jong Il. Kim was instrumental in formulating the DPRK’s education reform laws which were promulgated at a special session of the 12th Supreme People’s Assembly in September 2012. That, he was elected to the State Physical Culture and Sports Guidance Commission. Through these concurrent roles, Kim attended numerous sports competitions as a leading official and celebratory events for DPRK athletes who competed abroad. 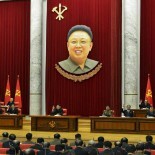 Kim was reelected to the Supreme People’s Assembly in March 2014. In May 2016 he retained his membership on the WPK Central Committee and elected to the 7th WPK Central Committee. During 2014 to 2016 he attended numerous public events as a senior DPRK government official. According to the ROK Government, Kim Yong Jin was removed from office and executed during July 2016. His last observed appearance was during the 4th session of the 13th Supreme People’s Assembly on June 29, 2016.